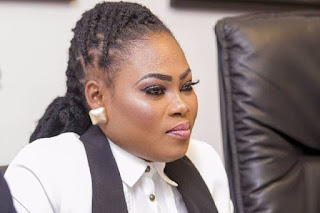 Popular Ghanaian gospel artiste, Joyce Blessings, at length has commented on her accident almost a week after fans and followers were hit with the news of her being involved in a serious accident. A week after Ghanaians found out that she was involved in a serious accident while she was on her way to perform a show, Joyce Blessing has reached out to fans from her Instagram page in order to thank all who kept her in their prayers while she was fighting for her life. The popular gospel singer thanked her fans and followers for keeping her in their prayers. She admitted that she’s indeed been through a lot recently, but added that with the help of God she’s still as “unbreakable” as she ever was she said this as she posted a photo of her self on Instagram.